Colored walls accentuate architectual planes. 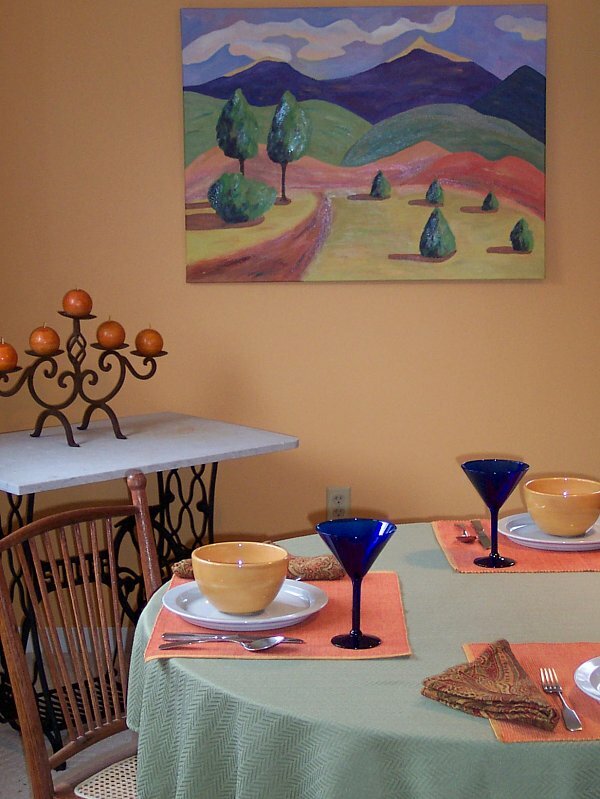 The dining room is a warm and intimate space in all weather. 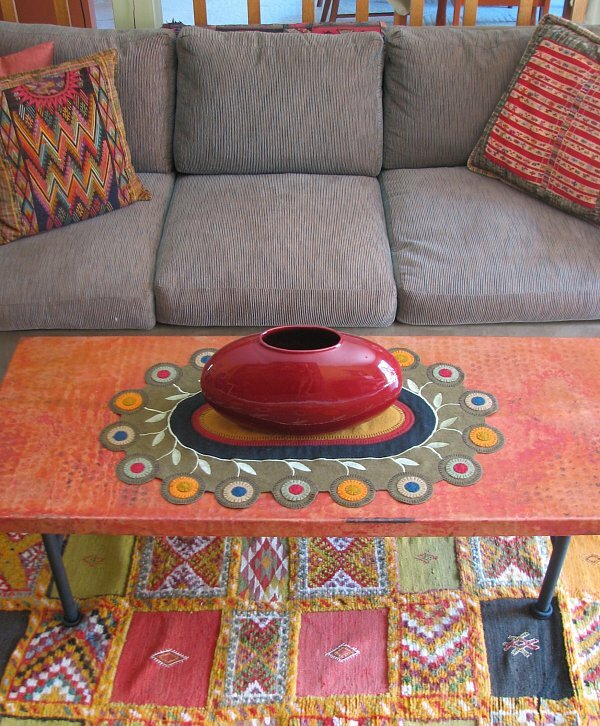 Colorful and eclectic accessories enliven the living space. 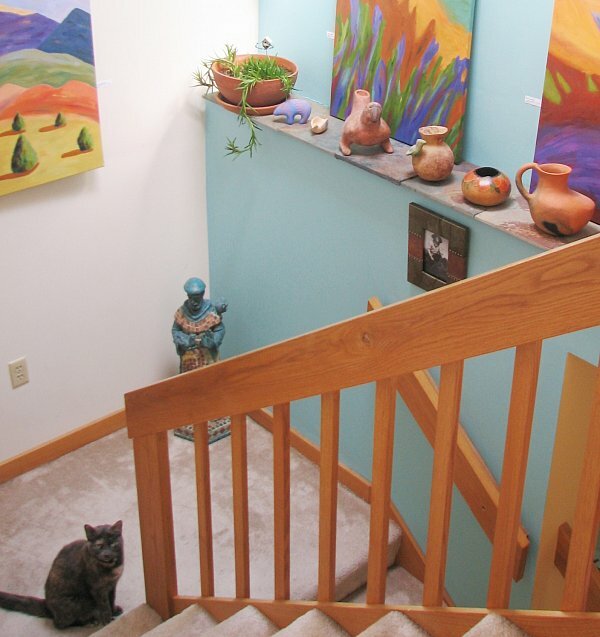 The stairwell gallery features a colored backdrop for art display. 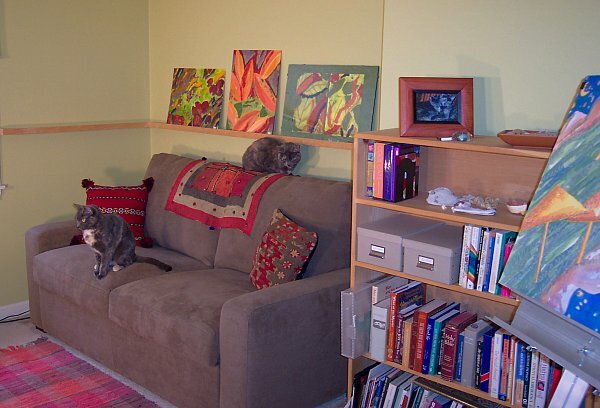 The studio/office is colorful, functional and a favorite hangout for the gang. 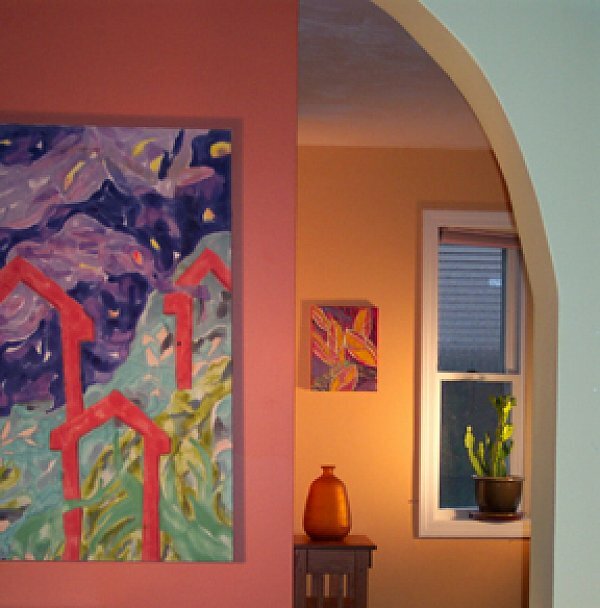 Color helps to define the space in this open-plan residence. 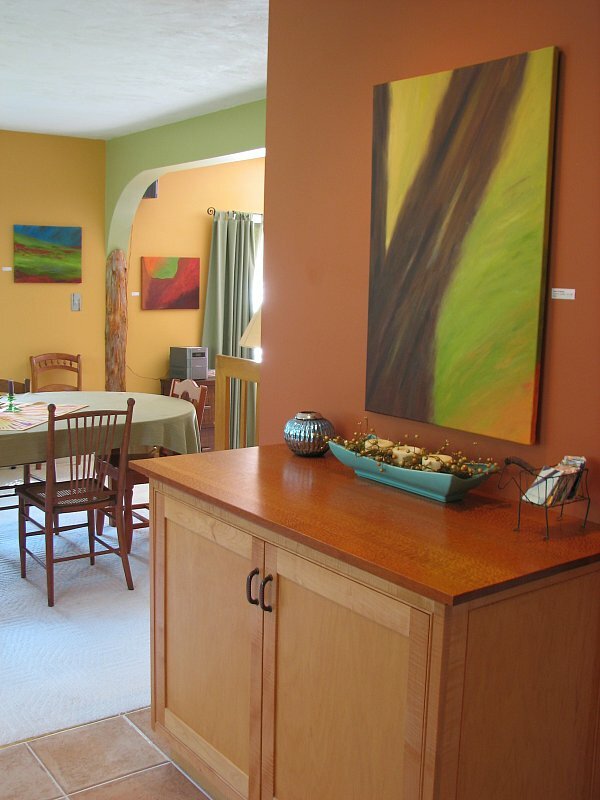 This home serves as a gallery for its inhabitant's periodic art shows. The eclectic design has been influenced by the artist's nineteen year sojourn in the Southwest, and travels, especially in Mexico, Central America and Morocco.